I just had ribs this past weekend. They were ok, not great. I'm going to have to get some better ones later this weekend once the Phantom Gourmet BBQ Beach Party starts. June 24, 25, 26, 2011. Friday noon to 10PM. Saturday noon to 10PM. Sunday noon to 7PM. 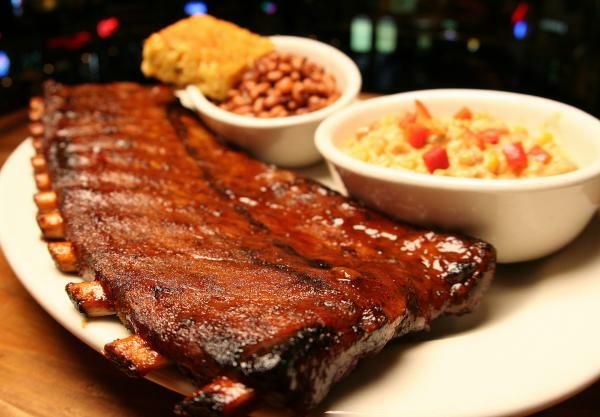 One of the premiere rib fests in the nation featuring the greatest barbecue teams in the world from Australia to Texas to Virginia, plus your favorite summer foods. Tons of sand, two beer gardens, live music, contests, and games. Admission tickets are $10 at the event. For a limited time, admission tickets are only $5 on Aceticket.com. Event admission is FREE Friday noon to 4PM ONLY. Admission ticket does not include food and beverage and is for entry into the event only.Ferris wheel rides are $2. The Phantom Gourmet BBQ Beach Party is proud to make a major contribution to The Fund for Boston Neighborhoods. My macbook widget says we're in for a lot of rain this week, but I think it's probably going to be worth it. It's been a while since I've had good bbq. I can't wait til July 4th, when I get to fire up a grill of my own. 3 Response to "Phantom Gourmet BBQ Beach Party - Starts 6/24"
The food was as bad as the weather. Overpriced and under cooked. I thought the food was excellent. But the wait to get the food was an hour in each line. I know BBQ is low and slow...but this slow was a little ridiculous. I wanted to try BBQ from each region...and after waiting in line for 1, we called it quits. I thought the food was great! my family and I decided to visit the show on Sunday. The weather was perfect. Yes, we stood in line, but that is to be expected when really that is the reason you are there. We tried Fireflies and Jackson's and the Big Show. Our vote was the Big Show for best Ribs and pulled pork! Thanks! Big Show!